Before trying any pool, make sure you know the rules and regulations for Andorra Pools as they may not be exactly the same as in your house town. We advocate you make contact with the pool directly to ask should you will need to have a hat, and what type of footwear or certain clothing you will need. Do you know of any Pools in Spain that ought to be listed here? Contact us!. Most on the Andorra Pools offer both open lanes for independent swimming and also guided activities like water aerobics or Aquabike. Traveling to Andorra? This is the perfect spot on the web to find places to swim in Andorra. Each day you are not swimming you're losing precious time in improving your expertise to be a far better swimmer! No far more excuses! 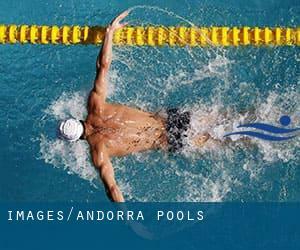 Get your nearest Andorra Swimming Pool and tell us how it went. Are you on holiday and want to preserve fit and healthful? 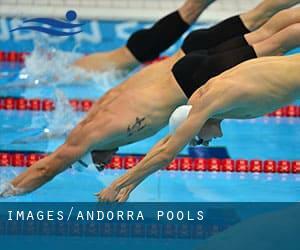 Swimia.com gives you the effortless and quickest way to come across Aquagym in Andorra near your present location. Thanks to some new pools submitted by swimmers like you, Swimia.com is increasing in the daily number of stored pools. Please do not hesitate to contact us if you get any Andorra Swimming Pool with inaccurate or incomplete knowledge. There are a number of reasons why you should choose a heated swimming pool in Andorra. Probably the most important 1 relies on the importance of keeping the body temperature stable. If the water is as well cold, your body will try to warm it up and you will lose strength to swim correctly. Enjoy the best indoor pools in Andorra and don't worry about the weather. These facilities are open all seasons and you can enjoy a swim at the same temperature every day of the year. Whereas Andorra la Vella is one of the six most populous cities in Andorra with nearly 20.430 residents, you shouldn't miss that one if you're going to Andorra. Let us tell you a secret to switch off while you might be in Escaldes-Engordany: just decide on a Swimming Pool in Escaldes-Engordany and plunge into the water! There's no far more effective system. It's hard to visit Andorra with out dropping by Encamp (with 11.223 residents). Currently Swimia is showing you all the Swimming Pool in Encamp and the closest pools situated in its vicinity. Swimming is a excellent thought to keep your body active in the course of your visit to Sant Julià de Lòria (Andorra), or even if you are a local. Swimia assists you to locate your closest Swimming Pool in Sant Julià de Lòria. Updated on 2019 Av. St. Joan de Casselles , Canillo . Swimmers like you reported 25 meters x 12.5 meters, 6 lanes, 1.6 meters - 2.1 meters depth, 1.6 meters - 2.1 meters depth, Indoors. Phone number and e-mail address are number for this Swimming Pool. Updated on 2019 Calle Doctor Palau , Sant Julia de Loria (Postal Code: AD600). Swimmers like you reported 25 meters x 12 meters, 6 lanes, 1.14 meters-3.3 meters depth, 1.14 meters-3.3 meters depth, Indoors. Phone number and e mail address are number for this Pool. Carretera General / Nou Vial , Ordino . This sports center delivers 25 meters x 12.5 meters, 6 lanes, Indoors. Contact info for this Pool such as phone number and email address are number. Updated on 2019 Av. Co-Princep de Gaulle, 10 , Escaldes - Engordany (Postal Code: AD700). This sports center provides 25 meters x 12.5 meters, 6 lanes, Indoors. For this Swimming Pool, only phone number is number here. Prat del Bau , Encamp (Postal Code: AD200). Swimmers like you have reported 25 meters x 15 meters, 6 lanes, 1.6 meters - 2.2 meters depth, 1.6 meters - 2.2 meters depth, Indoors. Also, you will find 18 meters x 12 meters, Indoors. If you have to contact this Swimming Pool, email address and phone number are both number. Updated on 2019 Plaça Baró Pierre de Coubertin , Carretera de la Comella , Andorra la Vella (Postal Code: AD500). Swimmers like you reported Olympic size x 21 meters, 8 lanes, 1.8 meters - 3 meters depth, 1.8 meters - 3 meters depth, Indoors. Phone number and e-mail address are number for this Pool.